SIWES which stands for Students Industrial Work Experience Scheme also referred to as Industrial Training (IT) by Universities and Polytechnics but known as Teaching Practice by Colleges of Education is a platform created to enhance students’ knowledge. 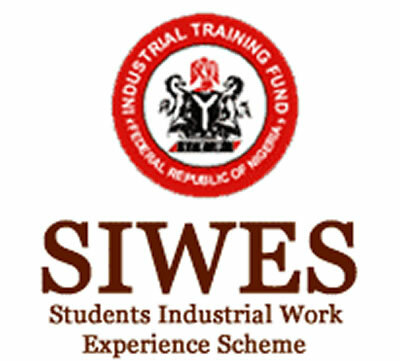 In general term, SIWES is referred to as Internship. The slogan for SIWES is “bridging the gap between theory and practical”. Hence, this scheme must be taken very serious in order to enhance students knowledge. Earlier on, I published an article titled, “why Nigerian graduates are unemployable”. The point I presented as number eleven (11) is “poor internship scheme”. If after the SIWES experience and you cannot boast of an increased practical knowledge, then I guess the scheme was not properly used. In this article, I want to present few things every student should expect during SIWES, no matter how short the duration might be. Different schools and departments have different timing for this exercise. Some universities do it twice. Some once. Polytechnics do it once and it last for a period of one year. So on and so forth. But before I articulate what you should expect during SIWES, let me state some mistakes students make. This could be the reason why students are not able to bridge the gap between theory and practical 1) More focus on money than knowledge: The very first thing I want to criticize in this article is that students pay more attention on making money than gaining knowledge. Money must be made, yet the money is not the first and primary intention of SIWES. Your attention should be on the knowledge most importantly. Today, everyone wants to get a SIWES placement in an oil company or high paying organization. But make sure you use this period to gain knowledge. The knowledge you gain during your SIWES will last longer than the money you will ever make during this period – no matter the amount. 2) SIWES in an unrelated field: The second mistake people make is doing SIWES in an unrelated field. For example, I had a friend who studied computer science in her undergraduate years but during her SIWES, she worked as a sales girls in a food stuff selling shop. Where then is the knowledge she stands to gain. In looking for a place for your Industrial Training, ensure that you look for a place related to your field. With this, you can boast yourself of increased knowledge after the scheme. 3) The time is too short: Sadly, many students see this period as too short and therefore cannot do anything meaningful with the time. For example, in the university I attended, at the end of your second years, you go for an Industrial Training which lasts between 2-4 months. As such, some people think that this period is too short and as such nothing meaningful can be achieved therein. This mindset and mentality must change for you to learn during your SIWES. Think about this, most times you go for holidays that lasts shorter than one month. Yet you never see this one month as too short to travel. Therefore, 2-4 months for SIWES is not short at all. 4) Seating at home: Unfortunately, many students use this period to rest from the stress they passed through during the previous semester. This period must fully put into use. Let me go ahead to state few things you should lookout for, expect and do during your SIWES. Knowledge: Since the goal of SIWES is to bridge the gap between theory and practical, then the primary focus of every student should be to gain more practical knowledge. In the classroom, everything is limited to the whiteboard/blackboard and your notebook. But in the field of Industrial Training, you are made to see real and practical things that will aid the theoretical ideas you have already. So, pay rapt attention to learning everything and anything you can learn within this few weeks and months. Build relationship: If we meet today, I cannot guarantee if you could be the one to save my life tomorrow. In like manner, you cannot guarantee if I am the one that will save your life tomorrow. Therefore, use this short period to build strong and lasting relationship that could take you farther than you widest imagination. Build connections: I should have written this point under the one above since connection and relationships are almost the same. But I rather chose to separate them. During your SIWES, pay attention to building strong connections that might earn your serious recommendation in the future. For example, after my NYSC scheme, I was called for an interview in the same place I did my Industrial Training, yet I never applied for such job. The vacancy came out and my director who I work under asked me to bring my relevant documents, which she submitted herself. This is the power of a strong connection I built during my SIWES period. If after your SIWES and your boss cannot write a strong recommendation for you, then you failed. So in your IT period, you can help yourself build a future for yourself. How do you build connection during your SIWES? Well building connection can only be done when your boss and other colleagues love what you do and your approach to work. Work experience: Another important thing to lookout for is an ample work experience. This work experience can help boost your Curriculum Vitae and in turn improve your employability. Remember that you must defend your IT when your department deems fit. So do not waste anytime at all. Use this medium as a platform to get good job experience. As I earlier stated, I got a recommendation for a job after my NYSC. During the interview, I found that the job description was exactly the same with what I did during SIWES years back. Hence, I was more preferred than every other candidate. You never can tell anything about tomorrow so make sure you do your very best at all times and in all places. Organizational processes and activities: If you are fully involved in the SIWES scheme, you will learn about organization, their processes and activities. With this, you will be able to know if you can fit in in future or not. CONCLUSION As I bring this article to a close, let me wish you the best in your SIWES. But ensure you abide by these few recommendations I have made above. Also make sure that at the end, it will be said that you were able to bridge the gap between theory and practical. If you are able to do so, then the goal of SIWES was achieved.